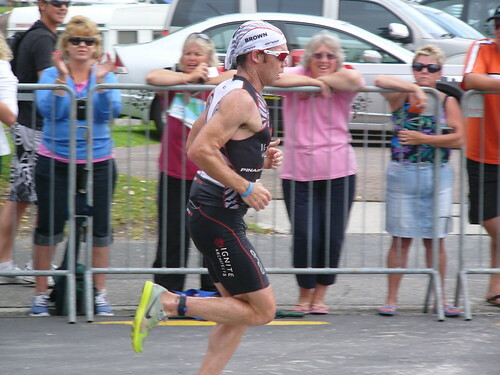 Today in Taupo Cameron Brown won NZ Ironman for the 10th time. He finished this year with a 2hr 52m marathon – pretty slow by his standards if you can believe that. He has raced in Taupo 13 times, winning 10 times and finishing second on the other three occasions. That’s an amazing record. This is the first time that anybody has won the same race 10 times, anywhere in the world. When he won last year it was the first time that anybody had won nine times. He would probably have won 10 in a row but for a shortened course due to weather conditions in 2006. It’s hard to think of another individual kiwi sportsperson who has totally dominated their event over the last decade like he has. I wonder what are the odds of a swan song win at the World Championships in Kona later in the year – a la Hamish Carter at the end of his career? Here’s hoping. Meanwhile, congratulations to everybody who completed the event today, in what sounds like pretty atrocious conditions, including some who will still be out on the course as I type this. I’ve done a half-marathon. It took me 1:52. Not too bad. 3.1 m/s, 11km/h. He’s doing 4.2 m/s, 15.2 km/h. Except he’s already swum for 2.4 miles and after a 112 mile bike ride. And he’s running twice as far. Thats amazing. I’m reasonably fit. But thats so far out of my league. Just… amazing. And to be that good for that long… what do you say really?